Intraoperative neurophysiological monitoring (IONM) or intraoperative neuromonitoring is the use of electrophysiological methods such as electroencephalography (EEG), electromyography (EMG), transcrainial motor evoked potentials (TcMEP) and somatosensory evoked potentials (SSEP) to monitor the functional integrity of certain neural structures (e.g., nerves, spinal cord and neural pathways) during surgery. The purpose of IONM is to reduce the risk to the patient from intraoperative damage to the nervous system, and/or to provide functional guidance to the surgeon and anesthesiologist. Neurosurgery, vascular surgery, orthopedic spine and ENT, are the most common places to utilize intraoperative neuromonitoring. 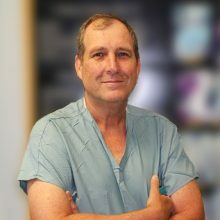 Has 30 plus years at UF, starting in the lab working for anesthesia and transferring to the EP field. He has seen many changes within the EP field and department over the years. 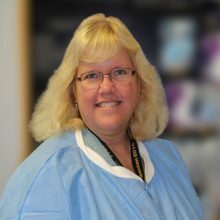 Rhonda Clark began working in IOM at Shands in 1985 after graduating from an EEG training program. She returned to the field in 2011 after a 12 -year absence. Has 30 plus years at Shands. Starting as a Surgical Technologist, Neuro Equipment Coordinator and since 2009 as an Evoked Potential Technician. 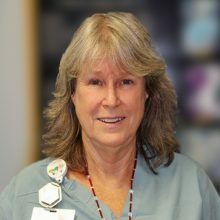 Linda has a diverse background centered around the OR.